This entry was posted in DEJU, miscellaneous, silly and tagged Dark-eyed Junco by toughlittlebirds. Bookmark the permalink. 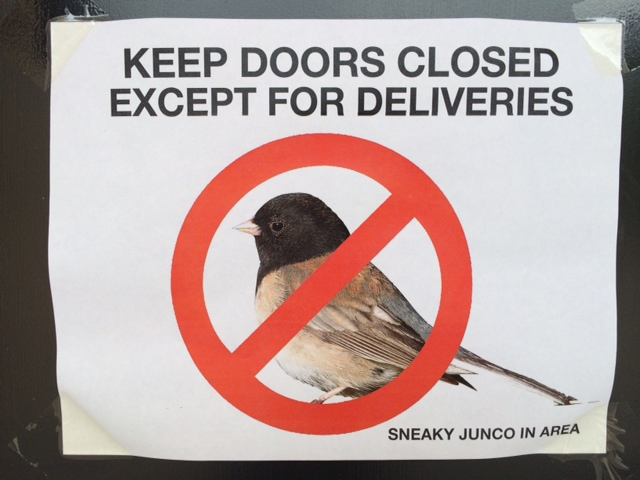 But if he has a delivery, the sign says he IS allowed in! Are you sure the photographer doesn’t have something to do with putting up the sign? Seems suspicious to me!